Every year the months between November and April are a waiting game: will the indoor plants make it through the winter? 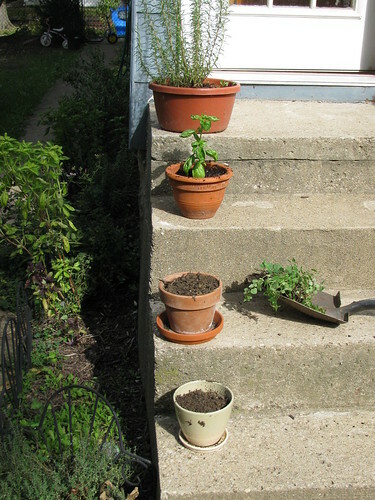 In addition to some non edible plants, this year I potted several herbs growing outdoors in mid November. My hope is that we can use them in cooking throughout the winter. In the case of the rosemary, perhaps we can replant it in the ground in the spring. 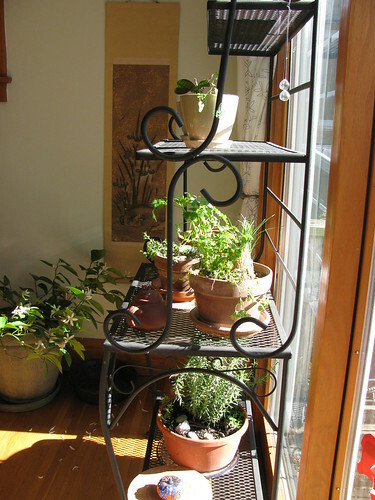 As much as I love vegetable gardening, I am simply inattentive to indoor plants. They take up a huge corner of the dining room, yet I forget to water them. Lil loves to water plants so I asked her to help me remember. This year Alex is determined to get more lemon fruit so he is paying special attention to that tree. As early as possible in the spring I will move the lemon tree, avacado, norfolk island pine and others back outside where they can breath fresh air and soak up regular water from rain. If, of course, they manage to survive my neglect.